Measures amper range of DC 0-30A with accuracy of Class 2.5. 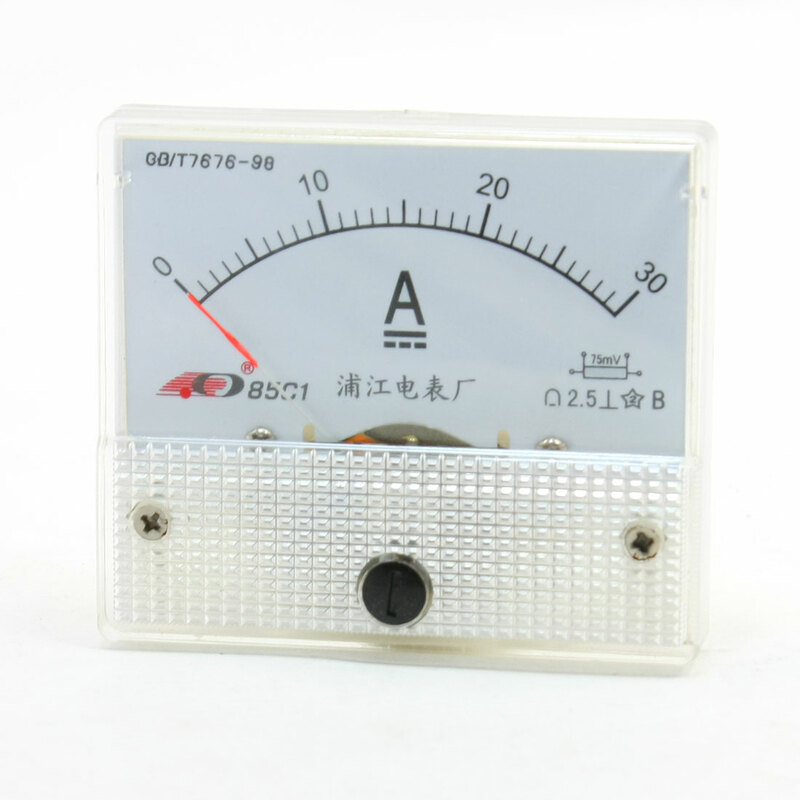 Needle Ampere Panel Meter for electronic applications, auto circuit or other current measurement devices. Please Note: a 30A 75mV Current Shunt resistor should be connected in paralell to the circuit before measuring.